In 2017, as a member of an alliance uniting 100+ journalists, I took part in the battle against “fake news” for CrossCheck during the French presidential campaign, as a journalist and a researcher. Our weapons? Fact-checking, collaboration, and reaching out to the audience. The research report that followed suggested some positive impact on journalists and their audience. But as disinformation keeps infecting the world, could this collaborative model be successfully replicated. Rewind to early 2017: Donald Trump became the new president of the United States, and the United Kingdom had chosen Brexit. Rewind again to a few months earlier. The internet was ripe with viral articles of the Pope endorsing Donald Trump, and Infowars was coming of (r)age. Cambridge Analytica was still unheard of, and an infamous bus was wandering across the UK claiming Brexit would better fund the NHS. “Post-truth” was the word of the year and journalism was knee-deep in crisis. To top this explosive combo, a wave of populism was threatening to take over Europe. Next in line with a decisive presidential election in the spring of that same 2017, and with the ever-worrying rise of the French far-right, what was France to do? What lessons could be learnt from the UK and US “fake news” fiascos? CrossCheck France: How did it work? It was at this critical juncture that CrossCheck was created. A journalistic experiment powered by First Draft, this 10-week project brought together more than 100 journalists from 30+ French newsrooms, to join forces and tackle attempts of disinformation during the French presidential campaign. During this unique journalistic experiment, participants across France monitored the internet by scanning thousands of social media posts every day, collaborating online and in real time on Slack. We ultimately debunked more than 60 stories (including the “Macronleaks”), without an error. At the same time, the audience was invited to ask questions and signal suspicious content online to the CrossCheck team. What impact did CrossCheck have on its participants? Journalists overwhelmingly benefitted from collaborating: they upgraded their skills and found a renewed sense of public service and democratic purpose. The exceptionally high-stakes situation and the risk of institutional instability is what enabled journalists who normally compete against one another to surpass their differences and collaborate. Members of the public across all of the political spectrum highly valued the cross-partisan alliance of normally competing newsrooms, and interpreted it, as well as its step-by-step explanation of the verification, as a token of credibility. The effect online: CrossCheck’s followers seized its Facebook page to engage in qualitative and constructive debates through comments. The effect offline: CrossCheck’s content has been used as a factual justification and a gauge of credibility in the context of real-life debates with people who had been ill-informed. While the accounts of journalists and CrossCheck’s audiences may provide reasons to be hopeful, this research did not evaluate whether this fact-checking initiative had any impact on the outcome of the elections. Its sample size is quite small, and fact-checking in itself is but one of many journalistic tactics, whose audience tends to be limited. In an ocean of fakes and hoaxes with far-reaching effects, collaborative debunks may be just a drop. But it’s 2019, and the state of disinformation has changed. 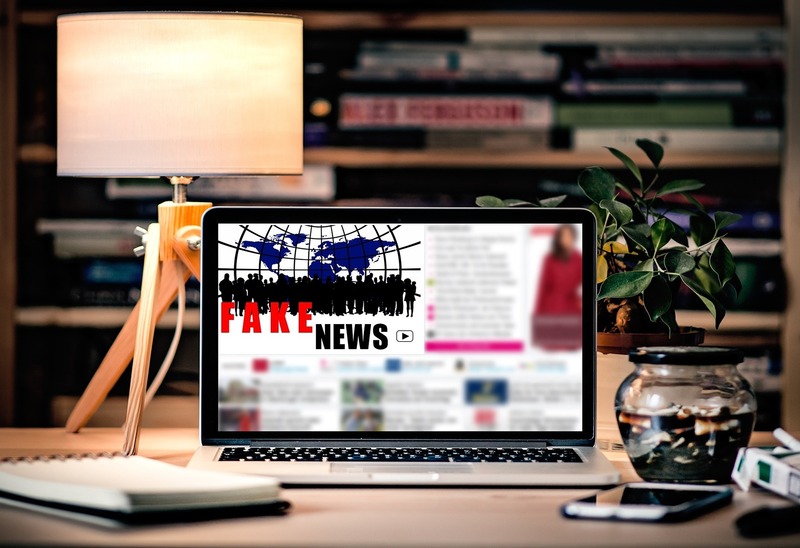 Established news brands in some countries enjoy a slight resurgence of trust, Brexit’s future is uncertain, and the word “fake news” has been banned in the UK. At the same time, Jair Bolsonaro, allegedly linked to Cambridge Analytica, is Brazil’s new far-right president. And in some countries, disinformation now has the power to spark outrage to the point of genocide and massive displacements. While the issue is far from being tackled, academics, platforms, governments and journalists are now joining forces in the fight against it, for better or for worse. But the collaborative model of journalism and its positive energy live on. Similar projects such as Brazil’s Comprova point to comparable results, and CrossCheck Nigeria is soon to be launched ahead of the February 2019 elections. Informationally disordered, propaganda manipulators, and hate-stirrers across the world thus beware, for fact-checking troopers may as well get back at you. About the Author: Sophie Chauvet is pursuing a PhD in audience analytics and journalism with Jolt. She has worked as a journalist for Tortoise Media, and as a researcher for First Draft, where she explored the issue of disinformation in the context of collaborative journalism.